It isn’t hard to find good food in Singapore. After all, eating is pretty much a national hobby we aren’t shy of proclaiming. But for some of us, having a beautiful scenery while we dine can make a huge difference to our culinary experience. Fortunately, there are several nice restaurants in Singapore with a view and some of them are skyhigh too! So here’s our list of some of the best rooftop restaurants in Singapore to dine at that come with mesmerising views! Wondering where to eat Italian food in Singapore? 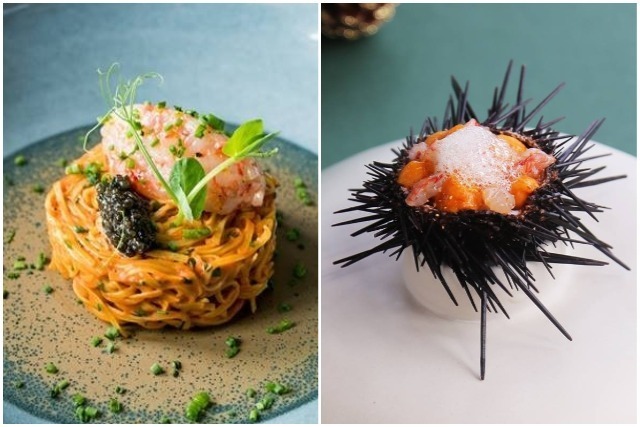 How about making a trip to The Lighthouse at Fullerton Hotel? It’s one of the best rooftop restaurants in Singapore with a breathtaking view of the Marina Bay area. Sample the finest dishes like the Trittico Della Baia — an impressive seafood mix — while you gaze at the bay. The view gets better in the evening. With spectacular light displays from the adjacent buildings, you’ll be entertained by the buzz of citylife as you treat yourself to exquisite mains like the Agnello — a roasted rack of lamb mixed in a variety of ingredients for a grand burst of flavours! 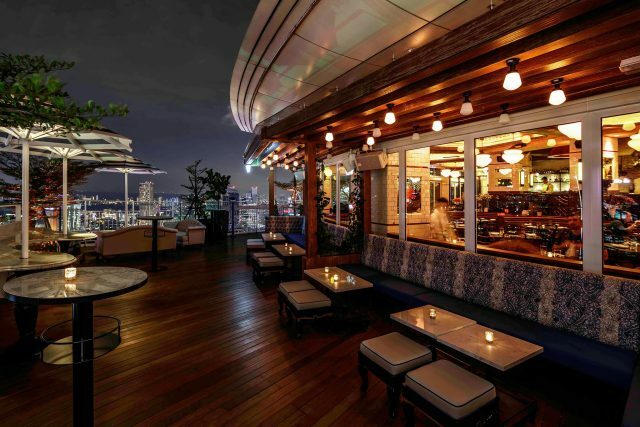 Zafferano is one of the best rooftop restaurants in Singapore for its cosy vibe. We recommend making a trip to this fine dining restaurant in Singapore around the evening hours. It’s calming to watch the evening sky over the rooftop restaurant while feasting on some of the exquisite dishes available at Zafferano. Zafferano serves a variety of Italian dishes crafted by their resident chefs. Start your meal with some of their Ostriche — fresh seasonal oysters that are served in 3 to 12 pieces. Or take your love for seafood to another level with their savoury mains. 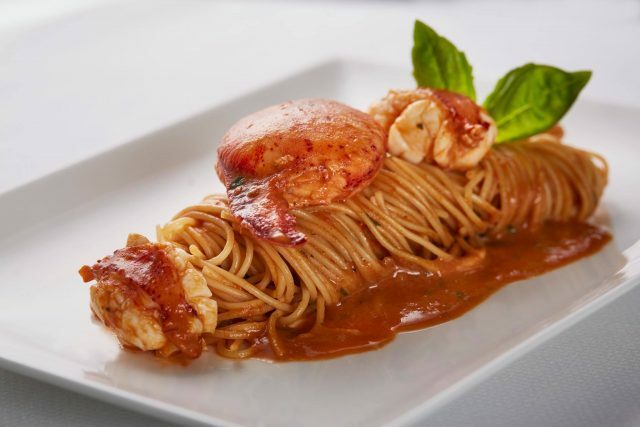 We know you’ll love their unique mix of linguine and fresh Canadian lobster that’s complemented with a dose of tomato sauce. Meat lovers are in for a treat! Salt Grill & Sky Bar is a fancy restaurant in Singapore that offers a unique range of freshly grilled meat dishes. Try popular grills like their Riverina Sirloin or the Cape Grim pasture-fed ribeye. These expertly grilled meats are a must have for meat connoisseurs! On a vegetarian diet? No worries! Delight yourself with their vegetarian mains which consists of spiced butternut pumpkin ravioli, smoked buffalo mozzarella, pine nuts, burnt butter, and verde. Surely, this is one of the best rooftop restaurants in Singapore for diners of different diet lifestyles. 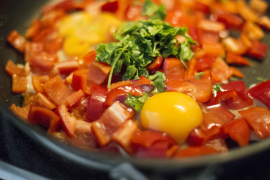 Tired of eating western-inspired dishes? Fortunately, there’s a lot of good local food in Singapore for chefs to take inspiration from. 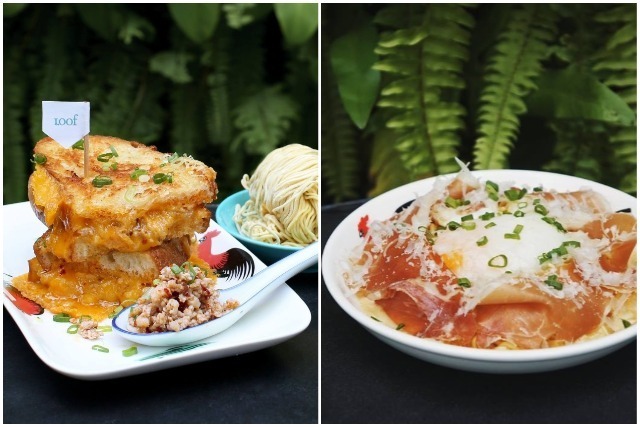 One of the best rooftop restaurants in Singapore to enjoy fusion food would be Loof! It’s a popular drinking spot among millennials that also serves some of the finest local-inspired dishes. Just look at their B.C.M. Grilled Cheese! Inspired by the traditional Bak Chor Mee, this creation of Loof’s resident chef includes a variety of new ingredients for an enhanced flavour. If you’re an Indomee fanatic, you’re in luck too! Loof has its own take on everyone’s favourite instant noodle brand. Through the brilliance of Loof’s resident chefs, we now have an Indomee fusion dish featuring a careful selection of western ingredients like ham, cheese, and truffle oil! Aside from the food, the place has an uplifting ambiance along with their iconic Instagram-worthy neon light displays. So if you’re wondering about where to eat good fusion food in Singapore, Loof is the place for you! If you’re planning a visit to Gardens By The Bay, do complement your experience with a meal from SuperTree by IndoChine. 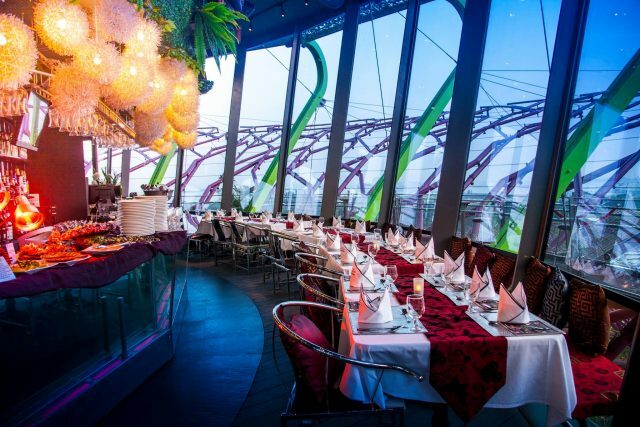 Situated atop one of the tallest tree-like structures of Gardens By The Bay, the restaurant is an ideal location to catch the sunset view from Marina Bay Sands. The rooftop restaurant features two menus — one for the rooftop bar (Rooftop Selection), and one more for the indoor dining area (SuperTree Dining Menu). The rooftop selection offers a variety of bar snacks inspired by traditional Vietnamese ingredients. Grab a bite of their SuperTree Platter which features several rice paper rolls. You can also try their Vietnamese-inspired Tapas dishes like the Nem Re So and the Golden Crispy Silver Fish. The SuperTree dining menu features a wider variety of food options including their signature rice paper dishes like the Crab Meat & Greens in Rice Paper. Their mains are based on different specific ingredient categories like seafood, gourmet meat and garden picks. We urge you to try their home-brewed soups! Vietnamese soup broths offer some of the most refreshing flavours that you can find in Asian fine dining in Singapore. 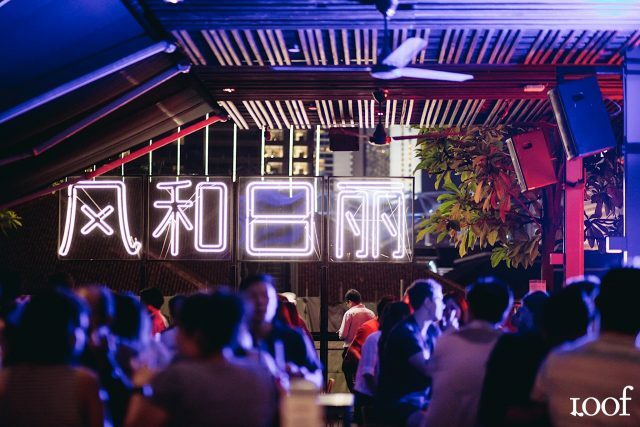 Without a doubt, this is one of the best rooftop restaurants in Singapore for Vietnamese food lovers. LAVO is a nice restaurant in Singapore with a view from atop the Marina Bay Sands. 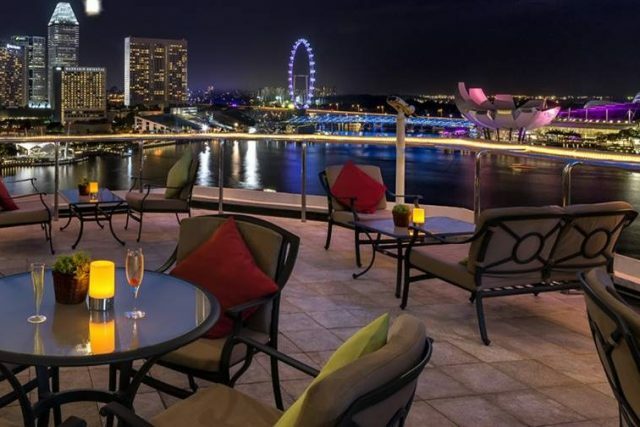 The restaurant sits along the rooftop deck of the Marina Bay Sands – offering a grand view of the central business district and Orchard shopping chain. They even provide binoculars along their patio for a better view of the buildings across the Marina Bay! 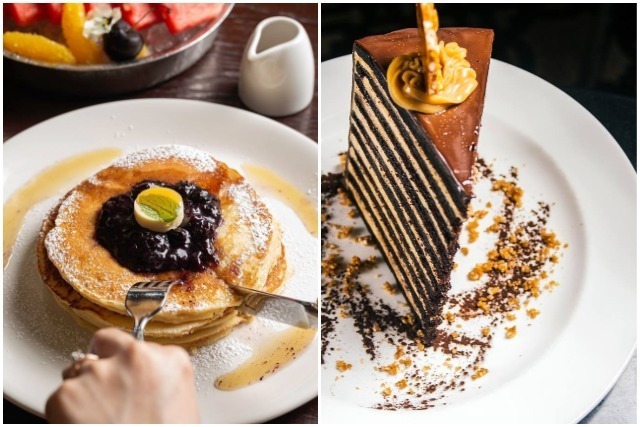 If you’re planning for a stay at the Marina Bay Sands Hotel, do consider having a magnificent breakfast at LAVO with drool-inducing dishes like their Ricotta Pancakes. [yum!] For diners who prefer sleeping in, you can still enjoy their amazing dinner menu! LAVO features a Raw Bar menu section that offers a variety of fresh seafood options like shrimp cocktail, oysters, and clams! We recommend their house specialities like the Chicken Marsala and Chicken Parmigiano for flavours you’ll only find at LAVO. LAVO is also one of the best rooftop restaurants in Singapore if you’re looking for a place to chill out after a long day. The interior is decorated with warm lighting that’s complemented by the cool blues of the evening sky. Just grab a few drinks and you’re set for an evening of calm meditation. How about a fresh take on British culinary delicacies? That’s right! 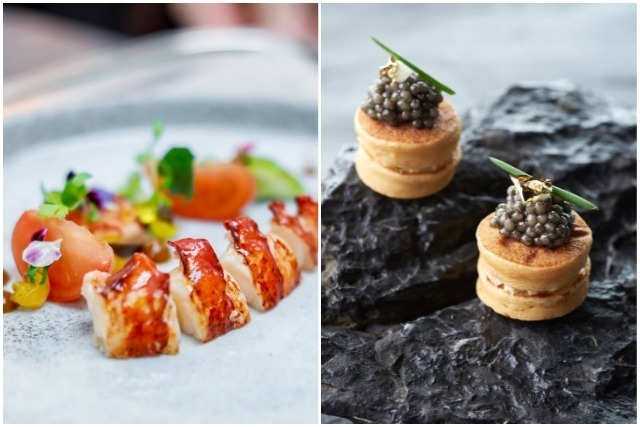 JAAN is a rooftop restaurant that sits atop the Swissôtel The Stamford serving a modern take on British cuisine. 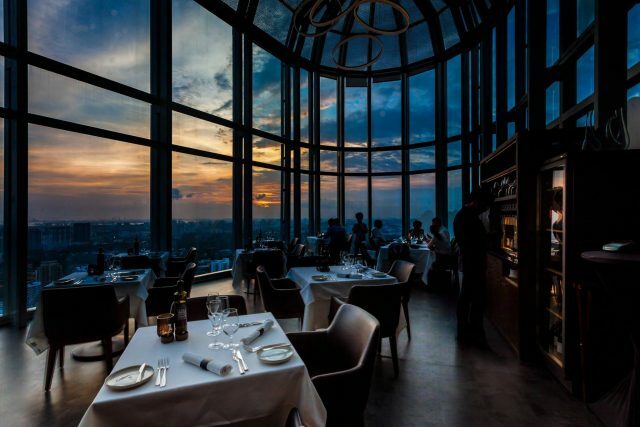 The restaurant also provides a unique fine dining experience in Singapore that can be described as dining among the clouds. 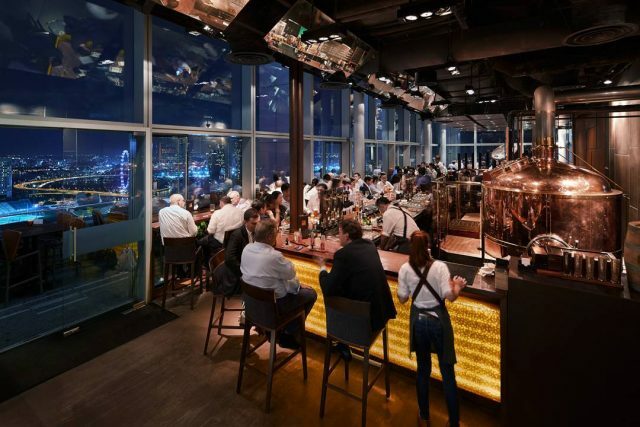 With its large windows from every angle of the restaurant, diners are treated with a grand view of Singapore while they consume the freshest dishes inspired by traditional British ingredients. 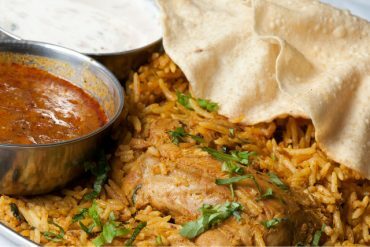 Do try their innovative recipes like the Welsh Salt Marsh Lamb, or if you’re a curry lover, grab a taste of their Chicken Curry. 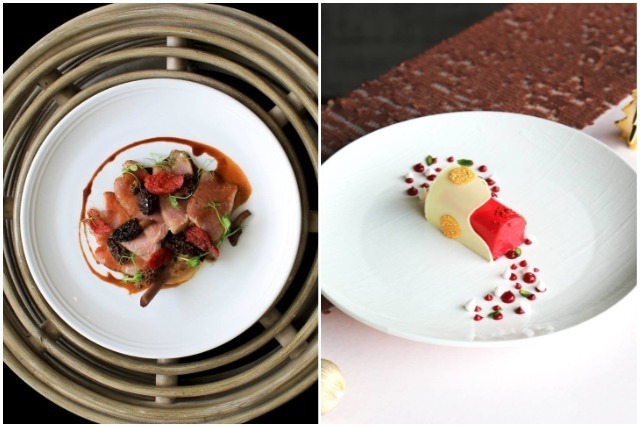 This is truly one of the best rooftop restaurants in Singapore for anyone looking for a fresh take on fine dining cuisines. Braci is one of the best rooftop restaurants in Singapore located along the Singapore river. The restaurant offers casual-luxe dining through its many innovative Italian dishes. Braci is also a great place for fine dining in Singapore for seafood lovers. Italian dishes served at Braci feature the freshest seafood ingredients like urchins, prawns, and blue lobsters. Aside from their expertly crafted mains, you MUST try their artisan desserts like the Ivoire 35. The dessert is an expertly mixed set of ingredients which even includes local favourite Gula Melaka. You’re in for a flavourful treat when you get a taste of Braci’s dessert selection. Fine dining in Singapore is never complete without the right drink to complement your dish. That’s why LeVel 33 is one of the best rooftop restaurants in Singapore for their signature craft brews! The rooftop restaurant is known for being the world’s highest microbrewery — a great place to gather for diners looking for the latest craft brew flavours. #LeVeL33's twist of National Day Platter is now available on our beer dining menu till 9 Aug! You must try their signature LeVel 33 Golden Ale to go with popular dishes like the Garden Greens Tart and Pork Intercostal. Planning to dine with a few friends? Then order a sharing portion of Lamb Banjo or the Seafood Medley! But do complete your meal with the signature LeVel 33 Beer Ice Cream! The flavour changes with each visit so there’s always something to look forward to when you dine at LeVel 33! Aura’s location atop the National Gallery is perfect for a fine dining restaurant in Singapore that serves many eye-catching cuisines. The presentation of the dishes are works of art in itself. It almost hurts just knowing you’ll have to ruin it just to get a taste! Try their pasta dishes like the chard ravioli, butternut, calabrian chili and white balsamic for a delicate flavour that will send you into culinary nirvana. Or if you’re a classy carnivore, try their grass fed beef tenderloin, foie gras, kale and truffle jus for the freshest and the most pleasing mix of meat and condiments. When you’re done with your meal, wash it down with their exquisite wines while you gaze over the Padang along their Sky Lounge. 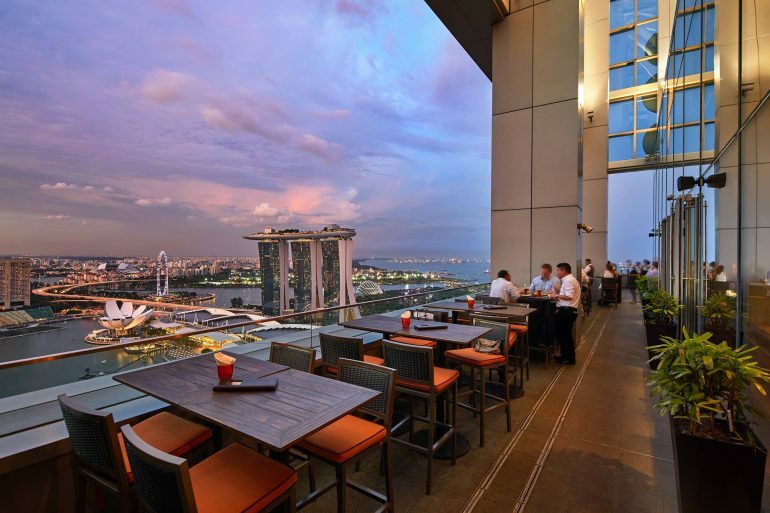 The patio is perfect for some dinner time conversations under the evening Singaporean sky. 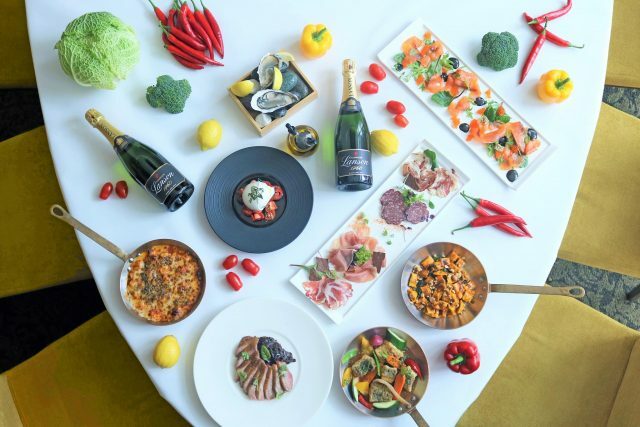 Aura is also one of the best rooftop restaurants in Singapore to watch the annual Formula One race — although you might want to book early for this experience! 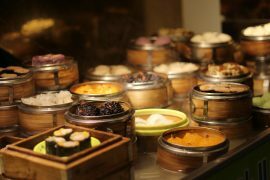 Still wondering where to eat in Singapore? Thanks to the foodie culture in Singapore, there’s always a restaurant for every moment of the day. We have recommendations for places to enjoy high tea in Singapore or even supper places for folks who indulge in the nightlife. But if you’re looking for something specific, we also have suggestions for burger joints and teppanyaki spots! Happy dining!